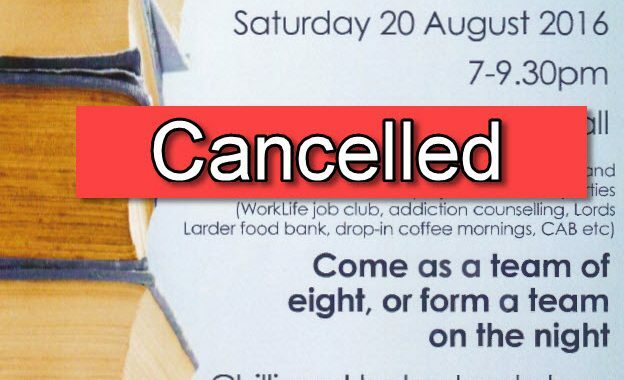 We regret the Quiz night planned for Saturday 20 August is cancelled due to weak August ticket sales. Those who did buy a ticket in advance will get a full refund. Something smaller is planned as a farewell evening for Ben and Emma – contact any of the leadership team for information.